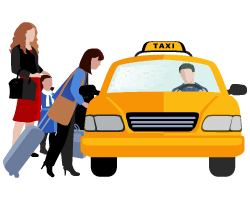 Passenger App is systematic helps the user to book their taxi from anywhere. The User can able to see their past travel histories, their wallet balance. They can perform all the activities in simple steps. Allows your passenger and driver to register with ease & start riding instantly. 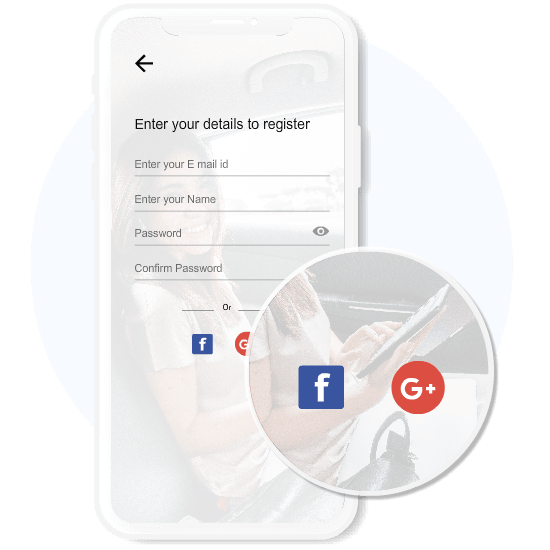 We provide social media login feature in Passenger & Driver APP which enables the passenger and driver to register in one step rather than the old school method of creating an account by entering email, username, and password. All you need is, the passenger and driver should have an account on Facebook or Gmail. With a single click, they are in. What is Multilingual? - Using more than one language. Yes! 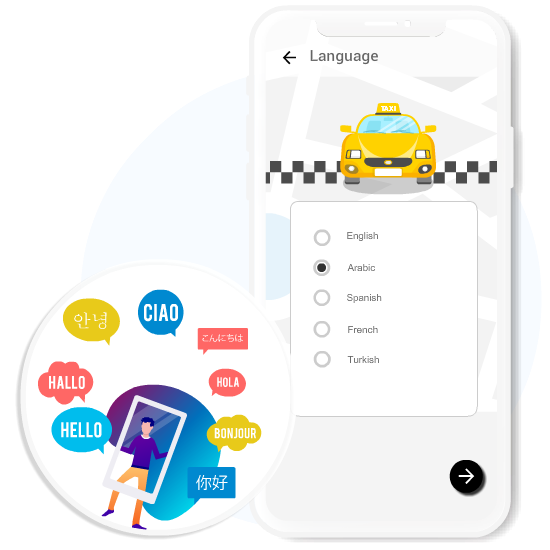 The taxi app comes in English, German, French, and Spanish. Passengers and Drivers can use the taxi app in their preferred language. To select the preferred language - go to menu & select multilingual and click on the preferred language. We can even add more languages based on your country and needs. Passengers can pay for the ride as they wish. We have integrated multiple payment methods in the taxi app. A passenger can use the credit card, debit card or even pay using Paypal or if they prefer cash - Let them go for it. Taxi APP also has a wallet option. Just load cash and start the ride. 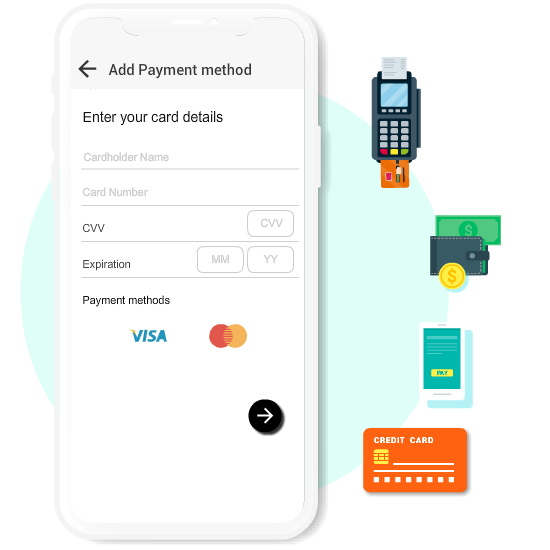 Want more payment methods? Ping us. 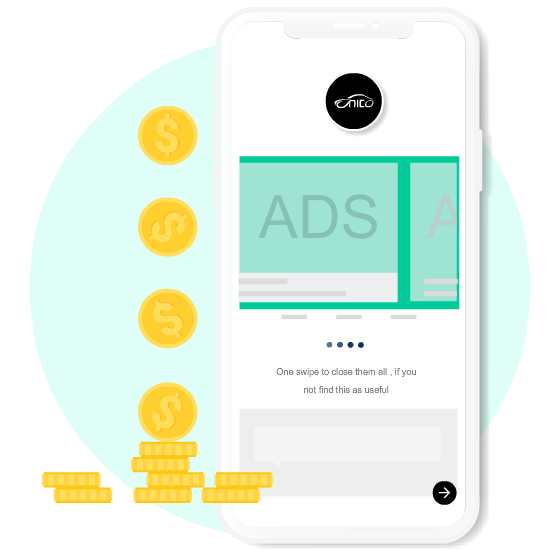 APP Monetization - Extra Income! 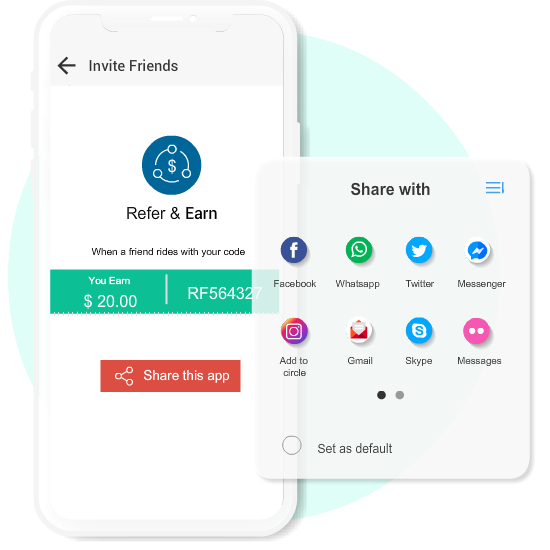 Using the Refer & Earn feature, passenger can promote your brand in exchange for free rides or cash or any offers. It's a win-win situation for you as well as the passengers on acquiring new customers. Make use of these powerful marketing tactics to expand and grow. 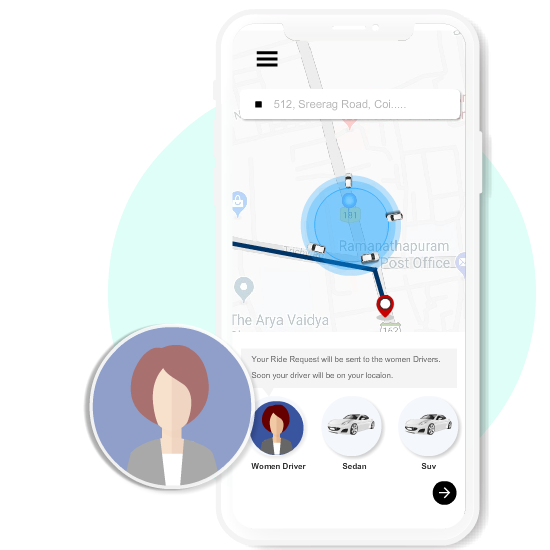 App provides a platform for panic passenger which allows their friends and family to know about trip location in a touch. Passenger will Know their spending before they take your service. Recording passenger favorite location, which makes taxi booking even simple & elegant. Quality of feedback and comments from passenger will always help your business to be step ahead of competitor.